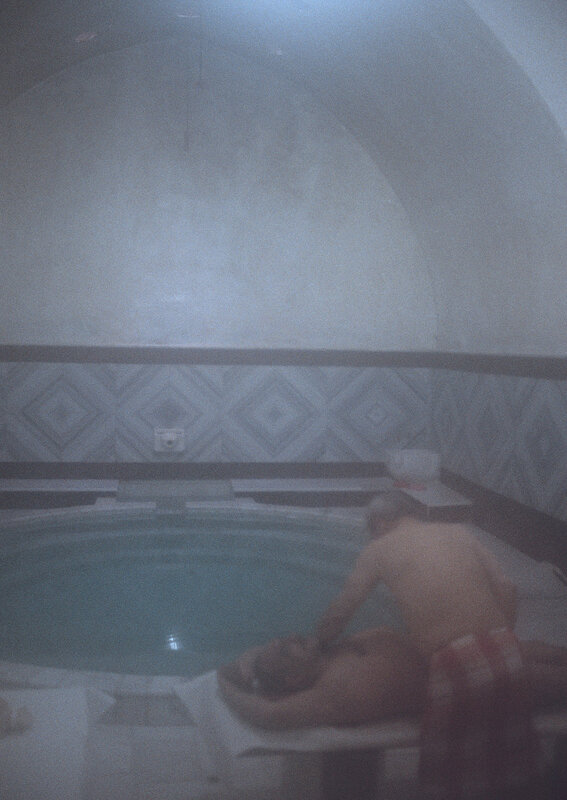 Hammam is a photographic series realized in Turkey between 2012 and 2015, dedicated to the atmosphere of Hammam where bodies, almost curled up, seem to return to their maternal womb. "I came inside. It was hot. It was humid, I could just hear the sound of water. A diffused light helped me slowly to lose the connection with the outside world. Around me, men undressed themselves and in silence would abandon their bodies in the hands of other men to be cleaned. Once eventually purified they would lay down on the sacred marble, as the young boys they were once, fragile and vulnerable."